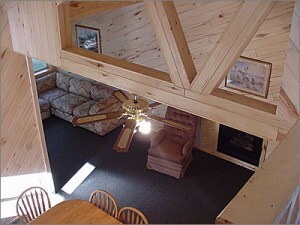 We are proud to offer our guests here at Loon’s Nest Resort clean, comfortable, and ultramodern vacation rentals. In fact, it is our number one priority—making our guests feel at home. Relax to loon calls right outside your cabin door. Unwind and take in the peaceful northern Minnesota surroundings, while the kids enjoy our children’s activities. 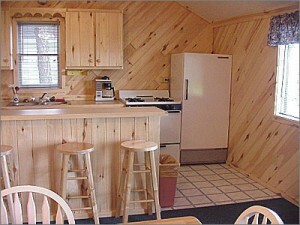 Our thirteen (10 lake level) housekeeping cabins come complete with linens, cooking utensils, automatic electric drip coffee makers and toasters. For your convenience, we’ve included microwaves and cable TV. Please bring your own towels, soap and personal care items. Included in your cabin rental rate is dock space for your boat or ours at no extra charge. We also have boat, motor and pontoon rentals available. You can experience the charm of Minnesota’s north woods lake country, while being only 1.7 miles from Park Rapids. Our resort location is ideal for local shopping and visiting area attractions. For the fisherman, Fish Hook Lake is a multi-species lake where you are almost guaranteed to catch a fish every time. For great fishing, you’ll find: Bass, Sunfish, Walleye, Northern and Crappies. You’ll feel like part of the wilderness, yet you are only five quick minutes to town where you can grab a bite to eat or shop. Make your summer vacation reservations today and enjoy the wonderful splendor of the great outdoors with us. Our northern Minnesota resort near Itasca State Park offers a fun-filled holiday for the whole family.